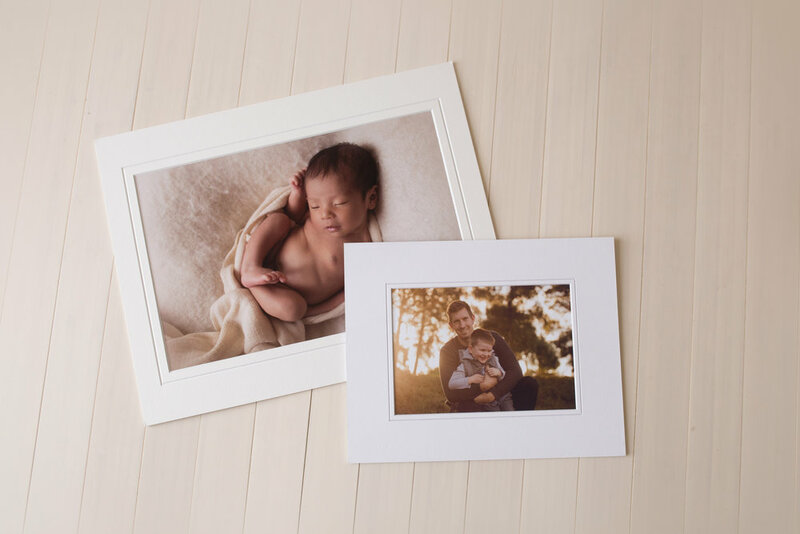 I LOVE seeing you with the finished product from your session in your hands, because ultimately, this is the goal - for your family to own beautiful, archival images to enjoy on the wall. All products are carefully sourced and professionally printed. FIVE matted 8 x 12 prints. ONE matted 16 x 24 print. TEN matted 5 x 7 prints. 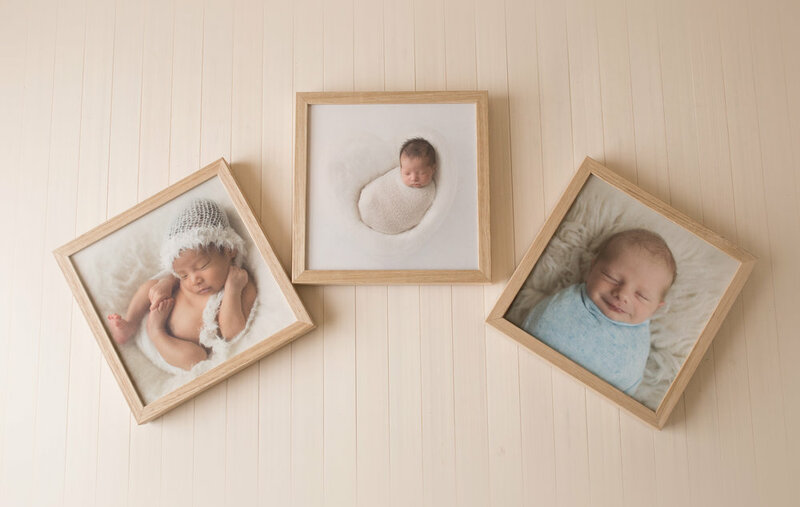 Set of TEN matted 5 x 7 prints in archival display box with wooden easel. 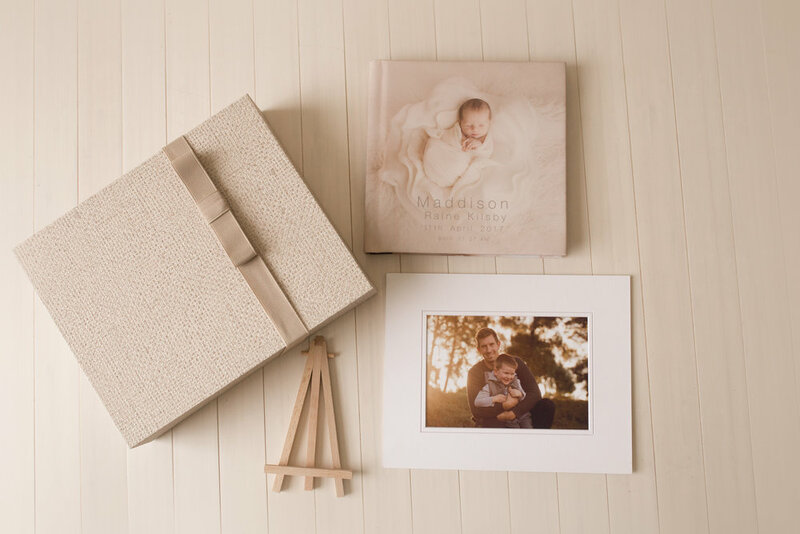 ONE custom designed keepsake 8 x 8 album. Includes three beautiful square 12 x 12 pieces in a wall art format of your choice. ONE 12 x 18 framed metal print. 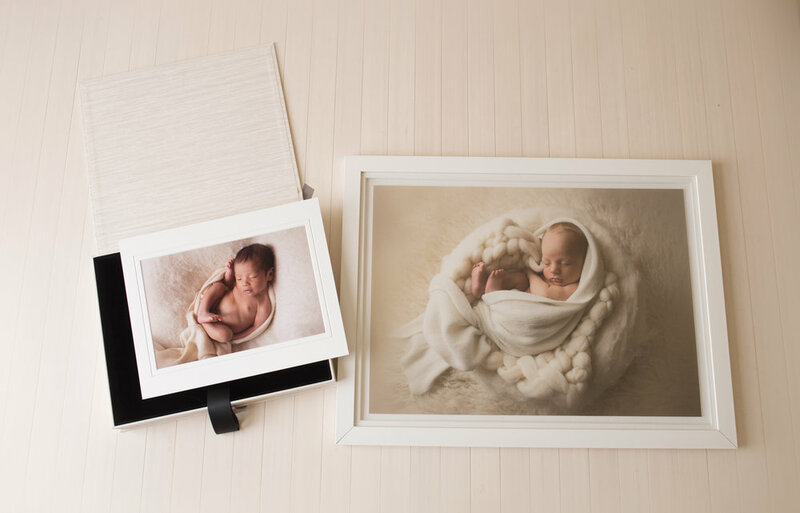 Set of TEN matted 8 x 12 images in a cream linen keepsake box. ONE 16 x 24 framed print.